His species is renowned for its ability to blend in, but this tiny critter is even better than most as the world's smallest chameleon. 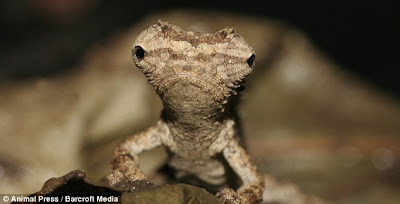 Balanced on the tip of a scientist's fingernail in Madagascar, the-three centimetre reptile is no bigger than the flies that form his average-sized cousin's lunch. Scientists discovered four new species - called Brookesia micra - on a small islet just off the main island. 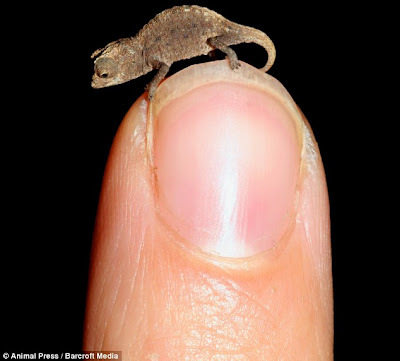 This particular chameleon is now thought to be one of the smallest reptiles on the planet. Ted Townsend, of San Diego State University, carried out genetic testing on the new species.